Whether you are part of a small, growing company or a massive, behemoth corporation, employees often seek to establish their uniqueness and individuality – especially if there is some type of incentive, reward or salary on the line. One benefit of this is that people strive to do more and perform better in order to stand out and be recognized. Of course, the downside of that is that they sometimes will step over what is good for the company or group in order to grab what is good for themselves. In any organization, if there is not a clear vision, goal or outcome established for all to understand and strive for, there is no chance for its employees to be in service to something greater than themselves. There is no chance for them to make decisions on, or be guided by, a greater good. And that is your challenge as a leader. Whether you are the CEO of the company or the leader of a small group, you must establish a direction, vision and/or goal for your team. They must have a context from which to make their decisions and choose their actions. Absent of this, their judgement can stray to what they think is best rather than knowing what is best. Having that understanding and guidance will allow for better decisions and actions by all members of your team. If you would like help establishing the direction, goals or vision that should direct your company, call me at *973-539-0660* or send me an email at rich@empireofhope.com and together we will grow your company’s success! One of my favorite leadership books is 7 Habits of Highly Successful People by Stephen Covey. In this book, one of the habits Mr. Covey highlights is the need to “sharpen the saw.” What he meant by this concept is that we should regularly carve out time to renew and re-energize ourselves – mentally, physically, emotionally, and spiritually. When I think of sharpening the saw for a business, what immediately comes to mind is the need for all business owners and their leadership teams to go on retreats. This is sacred time that is set aside to focus on renewing and re-energizing the business. It is a dedicated time to work solely ON your business and its future rather than getting caught up in working IN your business and the never-ending items on your to-do list. Retreats are an opportunity to think about what is working in your business, what is not working, and to plot a course for the future. In the first few years of a business, most owners and leadership teams are simply focused on managing the day to day business, which makes perfect sense. But if there is a commitment to having a business vs. simply having work to do, then it becomes vital to step away from the whirlwind of the daily tasks and strategically think about the future. If you would like help in designing a business retreat so that your business can stay sharp and ahead of the competition, call me at *973-539-0660* or send me an email at rich@empireofhope.com and together we will grow your company’s success! In the 20 years I have been doing the work I do, one thing is abundantly clear to me – small businesses owners have incredible compassion for their employees. I have yet to meet the business owner who did not treat them like family. The problem with that though, is that like any family, there can be some dysfunction that emerges. The good part of being compassionate is that business owners care deeply about their employees. In a small business, you are not treated like a cog in the wheel, but rather as a human. Business owners often seek to ensure an employee’s growth and success in life while they are in their employ. And I have witnessed many business owners bending over backwards, going above and beyond the call of duty, to take care of their employees. The bad part of being compassionate is that it makes it harder for business owners to make the difficult, yet necessary, business decisions when it involves their employees. They often put the employee’s needs before the business’s needs or their own needs. This often causes stress in the business as important and necessary business decisions take longer to make. Or even worse, maybe they are never made at all. Delaying such decisions causes significant friction or drag on the momentum and success of the business. I have always honored and respected business owners for this compassion. Truthfully, I don’t know how they do it and I consider them a unique breed. However, in my role as advisor, I also feel it is my duty to speak up and represent the company and give it a voice. It is one of the hardest things I do in my work as it often paints me as a heartless person, but my commitment is to the success of the whole company, and sometimes that requires “tough love” and difficult decisions. And perhaps that kind of tough love is the greatest level of compassion one can demonstrate. If you would like help in making the important, yet difficult decisions in your business so that you can generate greater success and satisfaction, call me at *973-539-0660* or send me an email at rich@empireofhope.com and together we will grow your company’s success! Self-confidence is a magic elixir when it comes to being a business owner. From the moment your business is born people will doubt you, your idea, and the possibility of growing it into something bigger. And there is certainly reason for others to doubt. Statistics from the Small Business Administration say that 50% of all businesses fail in the first year, and 70% fail in 10 years. Yet, every year approximately half a million new businesses are born. They are born with a generous heaping of hope, optimism, belief and promise. They are also the engine powering our economy. The vast number of new jobs created are created by small businesses, those defined as having less than 500 people. It is hard to swim against that current of doubters who do not support your vision, but not everyone will see what you see. It is important to stay the course and give your dream wings so it might take flight. Your job is stay focused on the vision, put a plan in place to achieve it, and then work your tail off. Keep in mind, not everyone sees greatness before it is born. * Decca records turned down The Beatles. * 12 publishers rejected Harry Potter. * A newspaper fired Walt Disney for lacking imagination. * The University of Southern California School of Theater, Film and Television rejected Stephen Spielberg . . . 3 times! Not everyone will love your idea, but that doesn’t mean it cannot, or will not, be a success. That is up to you and your determination. If you would like help giving wings to your business dream so that it can take flight, call me at *973-539-0660* or send me an email at rich@empireofhope.com and together we will grow your company’s success! When I think about the concept of letting go and how it relates to business, I immediately think about the importance of delegation. This is one of the most powerful ways a company can actually grow and accelerate its success. Of course, delegating means the CEO/owner of the business must be willing to let go of control, and that is not an easy task. Owners and CEOs often think that only they can do a particular task, or worse, that no one else can do it as well as they can. That line of thinking is very limited and will surely hinder growth. But it is also understandable. Owners and CEOs know that ultimately they are the ones accountable for the product or service their company delivers, and they want it to be perfect each and every time. The key to feeling more comfortable with delegation is to trust in your employees to do the job. And in order to do that, there must be 2 critical factors in place. 1. Your employees must have the skill set to do the job. The beauty of skills is that they are something that can be acquired or trained. As a leader, if you realize that your company is lacking in a skill set and time is not on your side, than perhaps the best solution is to acquire it either through a new hire or bringing on a consultant with the necessary skill set. However, if time is on your side and this is an important skill set you wish to develop within your company, than the best solution may be to invest in one of your employees and train them on the desired skill set. Often CEOs and business owners get caught up in the fact that their way of doing things is the only, or best, way. That line of thinking prohibits any opportunity for innovation and process improvements. Instead of being focused on how the work should be done, an owner/CEO should focus on communicating what they need done, what the desired outcome is, and what the measurements of success are. If they can accurately communicate those things, there is a much greater chance that the work can be completed to the level of satisfaction they desire. If you would like help in delegating some of the important work in your business so that you can generate greater success and satisfaction, call me at *973-539-0660* or send me an email at rich@empireofhope.com and together we will grow your company’s success! When I think of how the character ethic applies to business, one concept immediately comes to mind – core values. Core values are guiding principles that dictate behavior and action. 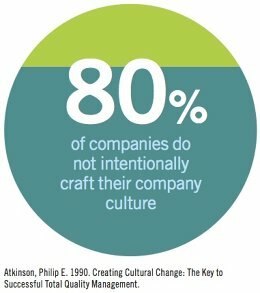 And if you extrapolate that out for the business world, behaviors and actions ultimately define and become a company’s culture. Core values are essentially a company’s DNA. They are like the threads found in any article of clothing. Taken on an individual basis, they are little more than a single, seemingly insignificant thread. But when woven together, they form an easily identifiable piece of clothing. Whether you have consciously declared them or not, your company has core values. Your employees probably sense them, as do your customers, so it is a wise investment of your time to understand what they are. These core values are often established early on by the founder of the company and its first employees. How they think and act puts an imprint on the future of the business and will guide the company’s actions like a compass. To ensure your company is on the “right” track and heading in the direction you wish it to go, be sure to take time to identify or establish what you want the core values of your company to be, and then ensure everyone is aware of and aligned with them. If you would like to identify or establish your company’s core values, and generate greater success and satisfaction in your business, call me at *973-539-0660* or send me an email at rich@empireofhope.com and together we will grow your company’s success! Most people see failure as a bad thing, but the insightful ones know the value of failure. They know that failure is never about the failure itself, but rather how you respond to the failure. And these insightful people know the many important qualities failure builds in a person. * Determination/Resilience – Those with true passion and commitment never quit after the first failure . . . or the 10th for that matter. They carry on focused only on the goal. * Compassion – Those who have experienced failure often have the most compassion for others. They have walked the mile in an other’s shoes and understand the challenges. * Courage – Once you have failed and survived, you become less afraid to make the next mistake. * Character – All of the above builds the character of a person. There is a lot being written these days about how the best leaders among us possess the above qualities. While winning is always more fun, I think failure is more valuable. If you would like to challenge yourself and rise to greater levels of success, call me at *973-539-0660* or send me an email at rich@empireofhope.com and together we will invite the possibility of failure! When I think about all the businesses I have worked with over the years, I often think they understand this concept of civility better than society does. When growing a company, you seemingly take a random group of people, throw them together, and somehow they make it work. I have 3 possible reasons this magic occurs. 1. Everyone is aligned behind a common goal or vision. Good business leaders get their employees focused on something larger than any individual. It is never about me, or them, but rather us and that brass ring out there we are all trying to grab. And the only way the company will successfully grab it is if everyone acts cohesively, as a team. 2. Everyone is culturally aligned. Whether you have actively created it or not, your company has a culture, or vibe. Often, that vibe attracts other like minded people to your company. (Eg. birds of a feather . . .) If you are lucky, you know what that culture is and you are actively hiring people who are aligned with it. That is a credit to the HR person/team doing the hiring. And in those instances when someone not aligned with the culture slips through the cracks, it is not hard to identify them. They typically create a dissonance in the company. And usually, when they finally leave the company, or are asked to do so, it is always addition by subtraction. 3. The threat of being fired has everyone “play nice in the sandbox”. This reason for random people getting along is certainly the least preferable. In this scenario, you really just have a bunch of people faking it. This is where company politics, back-stabbing, gossip and tolerations often reign. It is exhausting to exist in this scenario as it takes a lot of energy to manage your true emotions and pretend to be a certain way. These companies usually do not have great, or easy, success. If you would like to generate greater success and satisfaction in your business, call me at *973-539-0660* or send me an email at rich@empireofhope.com and together we will grow your company’s success! Those who have clicked on the “About Rich” page of my website know that as a business accelerator I work with entrepreneurs, business owners and their leadership teams to grow their success, revenues, and most importantly, their satisfaction. The core of the work I do with these teams focuses on my 3 P’s Model – People, Process, & Priorities. The best part of this model is that it’s not rocket science. I found that by focusing on a few simple areas, companies greatly impact their success! Next, companies tend to focus on processes. As they are experiencing rapid growth, it is important to put processes in place that help support the growth. It is not unusual for companies to fail because they are collapsing under the weight of their own success. Building a strong foundation, which includes looking at how business moves through the company and building processes to support it, is vital to long-term success. Once leaders have done the above, they often feel as if they have stabilized their company and have some “breathing room” to then think about more long term possibilities such as goals, plans and a vision, a.k.a., their priorities. I know this can sound a little backwards, and perhaps it is, but I have always found that the BEST way to work with a client is to meet them where they are at. So yes, sometimes things don’t work in a textbook order. As a business owner, is it in your power to have next year be even better than this year? That’s all you really need to do. Ask and answer that question. Your future does not depend on anyone but yourself. You worked hard, and risked more than others, to get to this point in your life. The fact that you control your future, and have the freedoms you have to create it, is all you need to make it a reality. That is the incredible power and gift of having had the courage to call yourself an entrepreneur and start your business. May 2017 be a year of great success for you . . . however you choose to define it. There are few adventures more thrilling than starting your own business. And like any adventure, there are many peaks and valleys along the way. However, to truly succeed in business, you will at some point need to venture down a new path. I am confident of this for 2 reasons. First, to be successful, businesses know that they must first establish, and then focus on, a niche or area of expertise. It can take years of hard work to do this. However, once a company has successfully accomplished this, they turn their sights to growing the business. 99% of the time that means doing something they haven’t done before. It may be introducing a new product or service or it may be changing a process or the way they do business. Either way, it is a new path and a measured risk. Second, if a business is not successful, it will eventually realize it has to pivot in order put forth another attempt to succeed. Pivots can range from slight changes to radical overhauls, but in the face of failure, either course offers hope of new success. So here are three things I have learned from all my years of hiking that a business can do in the face of change to ensure greater success and satisfaction on their new journey. 1. Always carry a compass. Simply put, this is your vision, or your True North. If you do not know where you want to go, you are guaranteed to get lost. Or at a minimum, you will wander around aimlessly, wondering if you are getting closer to a destination you have not even declared or defined. 2. Always have, and follow, your map. This is your plan for success. It is always wise to have a plan when you start down a new path. While I know businesses forgo this and sometimes get lucky, those that take the time to create and follow a plan usually experience greater success and it is often achieved more quickly. 3. Listen and observe your environment. When hiking in the wilderness, it is amazing how many clues there are around you to help you arrive safely at your destination. The sun, animals, water, trees all provide clues. In business, your clues are provided by your customers, your competitors and the industry itself. Are you listening and observing them enough to hear the direction business is going? If you would like to prepare your business for a hike in uncharted territory, call me at *973-539-0660* or send me an email at rich@empireofhope.com and together we will grow your company’s success! Here are 3 suggestions to ensure your work environment isn’t killing new ideas. This is perhaps one of the most important things you can do. Rarely are new ideas created in vacuum. Rather, the cross pollination that occurs when people and departments mix and mingle drives innovation and creativity. One of the key rules of improv is “Yes, and,” which essentially means you must accept any idea offered to you and then build upon it. All too often we think about new ideas in a way that seeks to find the flaws in them or why they won’t work. This is a sure fire way to kill the creativity of your organization, not to mention the morale of your employees. If you would like create an environment within your business where new ideas flourish, call me at *973-539-0660* or send me an email at rich@empireofhope.com and together we will grow your company’s success! As a leader of your business or organization, having the courage to admit that your thinking and knowledge is limited is vital to your success. Many leaders feel a false pressure that they must know everything and have all the answers. This creates several challenges for them and their business that will impede the business’s growth and success. Perhaps the biggest challenge this will create for a company is the stifling effect it will have on its employees. The attitude of “I know” will limit the personal development of your employees, will make them more dependent on the leader’s guidance and decisions, and have them be fearful of making a mistake or stepping up to their own leadership. This is important because your business will only grow to the limits of its people. However, if you let go of that belief that you must know everything, space is created for your employees to step in and take on more responsibility and accountability. At its core, letting go of this belief allows for an even more important skill to emerge – that of listening. And once you are in the space of listening, where your employees are stepping up to more responsibility and accountability, your company’s success will begin to take off. * Better decisions being made due to the diverse opinions. * Greater participation by your employees and sense that their input matters. * A stronger sense of team. * More freedom for YOU as you let go and delegate to your team. If you would like to step out of the “I know” zone and accelerate the growth of your business and employees, call me at *973-539-0660* or send me an email at rich@empireofhope.com and together we will grow your company’s success! If you are a business owner, I have to believe that at one point, and hopefully still to this day, you are energized by the business you created. It invigorates you, excites you and stimulates you. In the ideal world, that would be the case for your employees as well, but it is more likely that your employees look at your business as just a J.O.B. In fact, a recent Time Magazine article stated that 1 in 3 people find work frustrating. And according to a recent Gallup Poll, 70% of workers are unhappy, uninspired and less engaged in their job. So the question is, how can you as a business owner or manager stimulate and engage your employees so it isn’t just a job for them. Here are 3 quick places to look to re-energize your company. 1. The People. Do a quick assessment to see if you have the right people, with the right skills in the right jobs. A misalignment in any one of these areas will create dissatisfaction, disengagement and poor performance. 2. The Process. Do the key areas of your business have a documented business flow? Without a process in place, at best you will have irregular success, at worse you will have chaos in your business. Check to see if the process is too complicated or too simple. Either of those ends of the spectrum could create frustration and dissatisfaction for employees. 3. The Priorities. Do your employees have goals they are striving for, and do they know and understand the company goals and where you and the company is headed? People want to feel a part of something bigger. If these are missing, it will be hard for them to feel anything other than the drudgery of trading time for money. If you would like your company and employees to come alive, call me at *973-539-0660* or send me an email at rich@empireofhope.com and together we will grow your company’s success! One of the most frustrating experiences business leaders encounter is when employees feel a change is necessary, but the employees believe that they are helpless in making it happen. They believe that only the leaders can create the necessary change. Unfortunately this mindset cedes the employee’s power to the company or business owner, which only ferments resentment and employee dissatisfaction. As a business owner or manager, here are 3 great ways you can empower your employees to ensure they never fall into this “victim” mentality. 1. Delegate. The biggest challenge in delegating to employees is letting go of the task and fully trusting that the employee will accomplish the desired outcome. Two key components to successful delegation is to first clearly define the outcome and then remember “It is the what, not the how.” As a leader, you want to be focused on the outcome more than the process of how it is accomplished. 2. Transfer Ownership. If employees do not believe they fully own the responsibility for the accomplishment of a specific task or desired goal, they will always be looking over their shoulder or expecting the leader to eventually step in and take over the task. 3. Maintain Accountability. Without accountability, your business is on a slippery slope of missed deadlines and failed goals. Regularly check-in with your employees to measure the progress on a goal and provide any assistance or guidance they may need to ensure their success in accomplishing the task at hand. If you would like to expand the levels of accomplishment for your employees, business or organization, call me at *973-539-0660* or send me an email at rich@empireofhope.com and together we will grow your company’s success! If you think about all the sayings associated with waste, you will begin to understand how much waste there actually is in business. * Throwing money out the window. * Flushing money down the toilet. * Money doesn’t grow on trees. * Pouring money down the drain. As a business owner, you are no doubt acutely aware of this. Given that the business is yours, you fully understand that unnecessary spending or waste impacts your profits and the potential livelihood of your employees. Not all of them will. Some just want to have a job. However, the right employees with the right skills and drive, will be eager to take this on. I believe one critical way to accomplish this is to give them more accountability over their projects and groups. Make them not only accountable for delivering on designated outcomes and goals, but also have them be accountable for budgets and P&L statements on specific projects, jobs and goals they are overseeing. Make them part of the process. Involve them from the outset. Give them a financial goal to be mindful of so they can be aware of and support the company in achieving its financial goals. And most importantly, give them your trust. If you would like to increase the profits of your business or organization, and enroll your employees more powerfully into financial accountabilities, call me at *973-539-0660* or send me an email at rich@empireofhope.com and together we will grow your company’s success! That, of course, was true. But being that this was a new client, what this person did not understand was the immense value of personal connection, especially in new relationships. Clear communication is hard enough when you are with someone in person. Trying to do it via electronic means only makes it harder. In fact, a study conducted by UCLA found that 93% of all communication is NON-VERBAL. When you consider the fact that more and more communication today is being done via texts, emails, tweets and Facebook messages, you can see the challenge that is emerging in business today. A business phone call is becoming more and more rare, and that precious in-person meeting, well, it is practically a white rhino. Nonetheless, every time I have a meeting with my clients, they praise the value of communication, the work that actually was accomplished and how we advanced the desired goal. The impact of our disconnected work place is becoming more dramatic. Pew Research and Ken Blanchard (of the One Minute Manager fame) did some great research on how the disconnected workplace is becoming more dysfunctional. You can see a quick infographic with insightful facts about your employees’ communication needs here. While I realize most business people today consider our non-verbal channels of communication more efficient, never underestimate the value of actually taking that walk to meet with someone in person. If you would like to rediscover the power and effectiveness of personal connection in your business or organization, call me at *973-539-0660* or send me an email at rich@empireofhope.com and together we will grow your company’s success! Many years ago when I had a research and intelligence business, my business partner and I had a great saying – “If both of us agree, one of us isn’t necessary.” We said this as a reminder to encourage new, different and dissenting thought, for that is what allowed us to provide even more value to our clients. When hiring people for your company, certainly you want there to be some alignment with your company’s core values and culture, but after being aligned on the big things, you want to make sure to bring lots of diversity into your company so that the company can thrive. What makes our planet so interesting, let alone perfect, is its biodiversity. The same holds true for your company. You want people who are different. Who will challenge you. Who have “defects” and are unique. That is what will give your company its value. If everyone is the same in your company, or your company is just like all the other companies in your industry, not only will you not stand out, but there will be no compelling reason for anyone to consider you or buy from you. And that ultimately leads to extinction. If you would like to identify and define the unique qualities that distinguishes your business or organization from all the others, call me at *973-539-0660* or send me an email at rich@empireofhope.com and together we will grow your company’s success! I am reading a great book right now called The 4 Principles of Execution. In the book the authors cite a very interesting statistic about goals and priorities based on the hundreds of companies they have worked with over the years. * 2-3 goals, you will achieve 2-3 with excellence. * 4-10 goals, you will achieve 1-2 with excellence. * 11-20 goals, you will achieve 0 with excellence. In today’s crazy, fast-paced, multi-tasking world, we think the more things we can do at once, the better. Once again, the statistics prove this to be false. When working with leaders in businesses, I am constantly trying to get them to focus and cut down on the number of goals they establish. I love and appreciate their optimism and aggressiveness, but it is a bit like going grocery shopping when you are hungry. You will no doubt fill your cart with unnecessary items. And in the end, those unnecessary items end up being wasted. In thinking about the upcoming year and the growth and success of your business, rather than listing 5 or 10 goals you hope to achieve, why not list just the 2 or 3 really important goals that you know will make the biggest difference to your company’s success. Then, focus most of your energy and mindshare on achieving them. If you would like to define the priorities for your business or organization, call me at *973-539-0660* or send me an email at rich@empireofhope.com and together we will grow your company’s success! I have no doubt you have all heard ad nausea that your employees are the most valuable asset your business has. But how many companies truly interact with their human resources that way? How many companies truly honor and acknowledge their employees, rather than treat them as just a cog in the wheel? Admittedly, I have to say that the smaller businesses I work with recognize this and act accordingly, more so than larger companies or corporations do – and I have worked for, and with, both. * Improved employee satisfaction and enjoyment of work. * Increased loyalty and satisfaction scores from customers. * Enhanced teamwork between employees. * Lowered employee turnover and increased retention of quality employees. * Improved safety records and lowered accidents on the job. * Lowered negative effects such as absenteeism and stress. And the results can be even more tangible! Sears, Roebuck & Co. found that for every 5% increase in employee attitude scores, they saw a 1-3% increase in customer satisfaction and a 0.5% increase in revenue. As I often like to say in the work I do, this isn’t rocket science. As humans, we have some basic needs that we all need and love to have fulfilled. Feeling appreciated is one of them. If you would like to define or enhance your plan to recognize and acknowledge your employees, call me at *973-539-0660* or send me an email at rich@empireofhope.com and together we will grow your company’s success! Answering the big questions in your business is just as important as it is in your personal life – perhaps even more so. If you own a business or are an executive in an organization, you have a responsibility to others, especially those who rely on you. When it comes to business, there are four key questions that must be answered in order to know who and what you are. 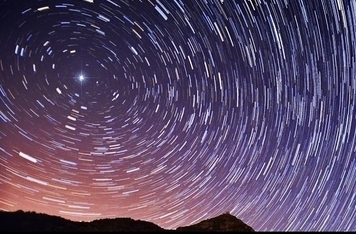 Answering these questions will provide your North Star for business. 2. What are we passionate about? 3. What value are we bringing? It is amazing to see how many companies and organizations have not taken the time to define and declare this. But I am not surprised. In order to define this, businesses need to stop and take time from DOING their work in order to DEFINE their work. That is a hard thing for businesses. This effort pits two key categories against each other: long range planning vs. short-range doing. If you would like to define your vision and mission for your business or organization, call me at *973-539-0660* or send me an email at rich@empireofhope.com and together we will grow your company’s success! When thinking about the power of suggestion, two areas of business immediately come to mind — marketing and advertising. They work hand in hand and help businesses grow. But, as we all know, at this point in history marketing and advertising have become ubiquitous. They are EVERYWHERE. They even follows us from website to website. This ubiquity is met by the challenge that consumers these days are more skeptical, savvy and aware when it comes to marketing and advertising. They know when companies are “manipulating” them. To put it bluntly, the grounds have shifted when it comes to influencing your customers to buy. In fact, a study conducted by The Journal of Market Research found that while advertising still works, it is about half as effective as it was 20 years ago. Much of this is attributed to the growth of social media and the impact it is having on people’s buying behaviors, especially when it comes to more significant purchases. People are turning to more reliable sources – friends, family, experts – and they are using social media to access and connect with those sources. Essentially, the tried and true power of the referral is growing and is easier to get now. Is there any more powerful suggestion you can get then when someone you trust suggests a product or service to you? 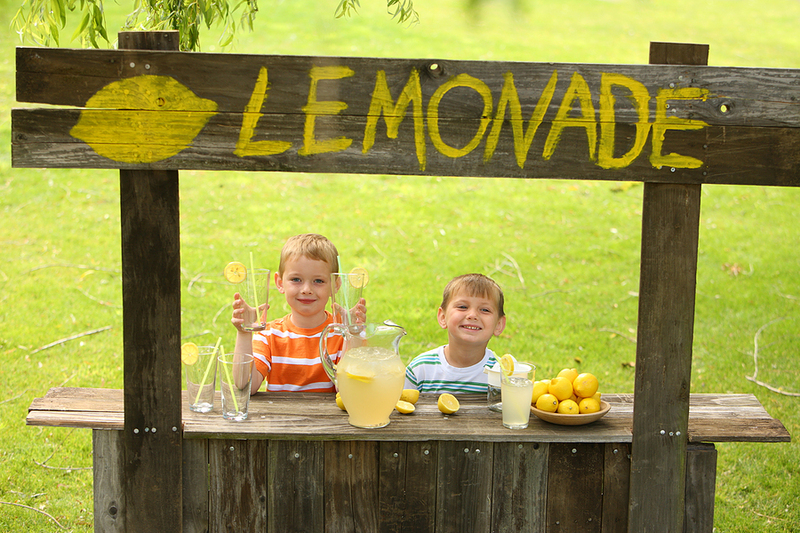 The power of suggestion is still strong when it comes to growing your business. What is changing however, is WHO needs to be suggesting it. If you would like to grow your company’s success, call call me at *973-539-0660* or send me an email at rich@empireofhope.com. The entrepreneurial spirit is one of my favorite topics! It is about unleashing human capability and the infinite creativity and possibility we humans hold. * There are 28 million small businesses in America. * 50% of the working population works in a small business. * The corporations can learn and benefit greatly from smaller businesses by studying them and adopting more of their entrepreneurial spirit, thinking, and culture, which sadly gets lost as a company grows larger. * Entrepreneurs/small businesses can learn and benefit greatly from corporations by studying them and adopting more of their expertise in structures and systems, which are often badly needed by entrepreneurs in order to grow their businesses larger. If you would like to unleash the entrepreneurial spirit in your business, call me at *973-539-0660* or send me an email at rich@empireofhope.com and together we will grow your company’s success! In business, numerous opportunities are lost or missed because leaders assume they already know, or know better. This kind of knowing is a prescription for disaster. The tale of retail giant JC Penny is an excellent example of this. In 2011, JC Penny’s stock price hovered around $30, but the company was seen as a poor performer and it was losing ground to competitors Macy’s and Kohls. As is often the case in situations like this, new leaders and management teams are brought in. The choice for CEO was Ron Johnson, a man who had a great retail track record, previously generating growth and success at Target and Apple stores. Surely bringing all that expertise to JC Penny would make him a savior. But Johnson and his leadership team made a few fatal mistakes. They brought their knowledge of the other companies, their customers, and their culture, and tried to force it into JC Penny, rather than fully understanding the JC Penny culture, customer and success and grow from that starting point. The result was disastrous. The company lost employees, customers and revenue and went into a steady decline. By April of 2013 the stock price was around $15 and the CEO was fired. Unfortunately, the decline continued and today, JC Penny’s stock price is about $9. Of course, many other missteps occurred and the failing cannot be seen solely as the CEO’s fault. In fact, he is now leading a promising start-up company based on some of his past business successes. More so, the failing was in bringing the knowledge of one business to another and assuming it would apply and work as well as it did in the past. This past knowledge may have in fact blinded him and his leadership team to many other solutions and possibilities that might have worked better. If you want help distinguishing between what you know about your business and what is possible, call me at *973-539-0660* or send me an email at rich@empireofhope.com and together we will grow your company’s success! A company’s vibe is their culture. And as you can see by the statistic to the left, very few companies take the time to consciously establish it. Often they are too busy or excited with growing the business, especially if they are just getting started. However, if the leaders of the company do not take the time to understand, create and establish their culture at some point in the early going, then their employees, customers or vendors will be the ones dictating it. And their energy and ideas of what it should be may not be aligned with what the founders/leaders of the company had in mind. And while it is harder to create/re-create a culture once a company is established, it is not impossible. Whether you are just starting out or realizing you need to consciously re-create your culture now that you are already established, here are some things to consider regarding your culture. 1) What are the core values/beliefs of the company? 2) What are the qualities/characteristics you want the company and employees to possess? 3) What behaviors or practices are important for the company/employees to reflect? 4) What assumptions exist/do you want to exist regarding your company/employees? 5) What are the rules, written or unwritten, you want the company/employees to live by? If you want help defining and creating a company culture that serves you, your employees and your customers, call call me at *973-539-0660* or send me an email at rich@empireofhope.com and together we will grow your company’s success! Plainly stated, incremental changes open up huge success. There is no better example of this than the Great Britain cycling team. Essentially, he wanted to achieve a 1% marginal improvement in everything the team did. Everything. Nutrition, training, ergonomics of the bike seat, weight of the tires, best massage gel to use, best pillow to sleep on, best way to wash hands and avoid infection. He analyzed EVERYTHING, believing that all these small gains would add up to big success. In fact, he believed that if they could achieve these marginal gains, the team would win the Tour de France in 5 years. He was wrong. They won it in 3. But they weren’t finished. The team went on to dominate the 2012 Olympic Games and repeat their success in the following year’s Tour de France! If you are looking to improve the success of your business and are struggling to find that huge breakthrough or feel as if you have exhausted all the low hanging fruit that have large returns on investment, take a moment to consider actions or strategies that may seem small or insignificant. * What if each member of your sales team increased their sales by just 1%, or made 1 more sales call per day? * What if your A/R department collected 1% more? * What if operations found a way for the company to cut 1% more waste? * What if your production team found a way to be 1% more efficient or brought a product to market 1% faster? What would small changes like this have on your business as a whole? Often times, there is great success hidden among your small actions. If you would like to uncover the small actions in your business that will create BIG SUCCESS, call call me at *973-539-0660* or send me an email at rich@empireofhope.com and together we will grow your company’s success! In business, finishing the dream is really about Planning 101. And as I see it, there are 4 simple components to Planning 101. 1. The vision. This is the equivalent of the dream you hold for your business. It could be a 1, 5 or 10 year vision depending on how clear and developed your idea or company is. Regardless of the time period, the more clear and concise this vision is, the easier the next 3 steps will be. 2. Goals. Once you have a clear sense of your vision, ask yourself “What are the key things you must do this year to get there?” The answer to this question becomes your goals. 3. Milestones. When taking a long journey, it is always good to know you are on the right road, heading in the right direction. On a highway, there are always mile-markers telling you this. That’s what milestones are for your goals. They are the key actions/results you will witness that tell you you are making progress toward your goals? 4. Plan. A vision without a plan is just a day dream. Once you have your goals and milestones in place, you must declare a date you intend to complete them. This then becomes a plan that will help hold you accountable to your goals. Check in regularly to see that you are meeting them and doing what is necessary to make your vision come true. If you want help turning your vision into a plan and then into a reality call call me at *973-539-0660* or send me an email at rich@empireofhope.com and together we will grow your company’s success! The concept of a success mindset affects your business in a multitude of ways. 1) Your Leadership – If you, or the the leader of your organization, does not have a vision for success, and believe in it 100%, the other people in your organization certainly will not believe in it either. They will sense the doubt and lack of direction and will respond accordingly, often leading to diminishing results. 2) Building the Right Team – If you have a success mindset, the next question you must ask is, “Do the people on your team have that same mindset?” If you do not have the right people, thinking the right way, on your team, they may end up sabotaging the company’s success – consciously or unconsciously. 3) The Velocity of Success – If you, or key members of your team, are constantly battling fear, uncertainty or doubt that may exist in their mind, this will no doubt create drag on the company’s success and goal achievement. The clearer everyone’s vision for success is, the more quickly and easily it will be reached. If you want help creating a success mindset and clearing out any beliefs that do not serve your goals, call call me at *973-539-0660* or send me an email at rich@empireofhope.com and together we will grow your company’s success! In business, the importance of context cannot be overstated. Often to get a competitive edge, businesses and their leaders value speed and quick decision making. There is no doubt these are valuable and often rewarded, but we don’t often see the downside of such behavior. Rushing to get to an end result often creates horrible communication. Whether it is via an email or verbal request, without taking time to explain the context or the “why” surrounding a request, the communication will often sound like a command being barked out at an employee. Communicating in this way will have several damaging results. Rather than enrolling or engaging your employees to assist you in the request and achieve a desired outcome, you will alienate them and most likely create resentment. Their desire to help will most likely decrease. Let’s face it, even though we are older, things haven’t changed since we were children. No one likes to be “bossed” around. Morale among your employees will decrease. People want to feel empowered, feel as if they have a choice, and feel as if are contributing to the solution and have something to offer. If they are simply acting like robots and following orders, their sense of self worth and desire to be an active part of the company or team will diminish. Miscommunication and misunderstandings will increase. Without sharing context with your employees they will have little, if any, understanding of what needs to be done or why they are doing it. That leaves a lot of room for interpretation on their part. Whenever there is a vacuum of information, people will fill it in . . . often with rumor and misinformation. Your leadership ability will erode. Without fully understanding the context of a situation, the likelihood of making a bad decision increases greatly. Too many bad decisions eventually equates to bad leadership. Additionally, by ordering employees to do things rather than share with them the context and enrolling them into the process and solution, eventually they will no longer have a desire to follow or listen to you. If you do not have a clear sense of context, and communicate it to your team, then chances are you are not making the best decisions possible for your business or its future. As a result, your business is probably not as successful as it could be. If you want help defining and communicating context, call call me at *973-539-0660* or send me an email at rich@empireofhope.com and together we will grow your company’s success! In business, your Philosophy of Living would be your company’s mission. Not the mission statement, the company’s mission. Mission Statement – “Fluffy language provided by a marketing firm or a consultant that sounds polished, but removes anything that makes them stand out as an organization. They often hang on a wall, adorn a website page” or decorate coffee mugs. Without clarity on your mission, your business will appear to be rudderless, drifting passionless from one opportunity to the next, rather than setting sail toward a specific destination of success. What is the soul of your business? What is it committed to being in its daily actions? 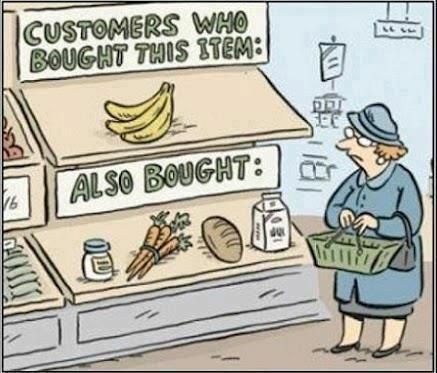 How will it be identified by your customers in the marketplace? If you do not have a clear sense of this, then chances are your business is not as successful or driven as it could be, and your customers are not raving fans. If you want help defining your company’s mission, call call me at *973-539-0660* or send me an email at rich@empireofhope.com. You can read the article about missions vs. mission statements here.